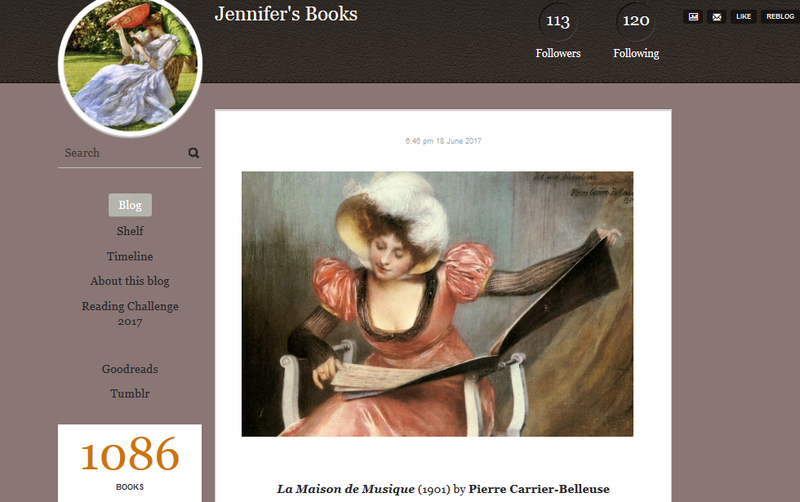 Please welcome a new blog post series called Follow Friday with book bloggers. Reading and blogging isn't a solo activity that's why we're reaching to you, our lovely community and encouraging you to share your reading life insights. 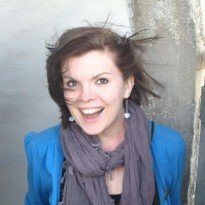 The Follow Friday posts will be published every Friday - surprise, surprise! The new series will be accompanied with the notification announcement, we don't want you to miss anything! We wish you a pleasant reading, and great exploring and discovery time! What was the book that made you a book lover? I've loved reading pretty much from the moment I learned how. But a couple of books I remember from my childhood that really spurred my love of reading were Chocolate Fever by Robert Kimmel Smith, and Ramona Quimby, Age 8 by Beverly Cleary. I read the former so much my book literally fell apart, and the latter I wanted because I was age 8 myself at the time. The edition I owned was a mass market paperback sized book, and I remember feeling so grown up, because to me it looked like the books I saw my parents reading. 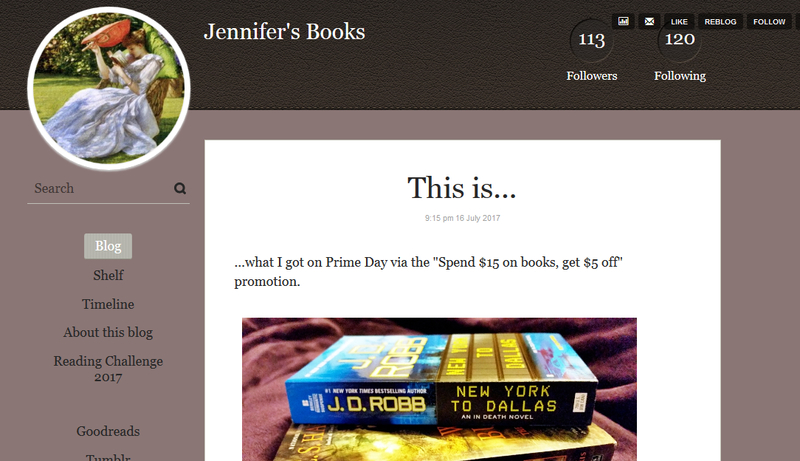 I wanted a way to share my love of reading with others, and to find others who were interested in the same types of books that I am. I would definitely say so. 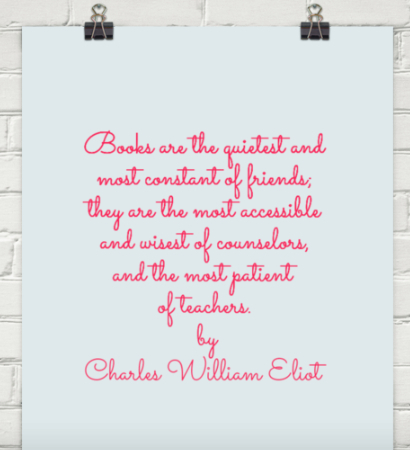 I've connected to readers around the world, and instead of just finding others who are interested in the same types of books I am, I've been introduced to other genres I might not have otherwise read. I like too many genres to list, but I'd have to say my favorites are historical fiction, crime/mystery, and romance (historical romance, romantic suspense, and PNR romance). They're special to me—well, at least as far as the romances go anyway, because I can usually** rest assured that no matter what the main characters go through it will all work out in the end, and I'll get my HEA. **In my opinion, one of the biggest betrayals there is in a romance novel is no HEA, or at the very least a HFN. As I mentioned in #7, I love classic art, so my attention really tends to be attracted by books that use classic art/paintings or at least have that classic art kind of feel on their covers. 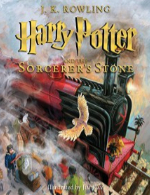 I'm also really enjoying the covers for that Harry Potter illustrated editions. On your blog page you write: When I do write reviews, they may be just a few lines or rather lengthy. How does you review process look like? I don't know that I have much of a process. A book has to really affect me—either positively or negatively—for me to write a detailed review these days. 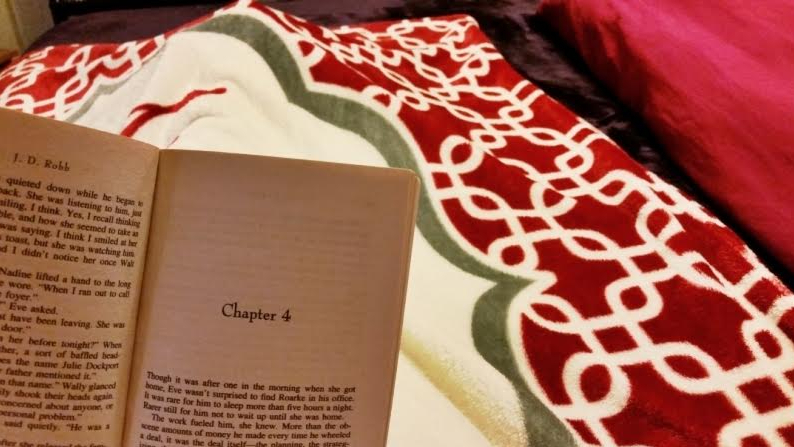 When I do decide to review, most of the time I end up just posting a few brief thoughts about the book. I generally don't recommend books all that often. I have this irrational fear of recommending something to someone and they end up utterly hating it. I enjoy both, but do tend to prefer paper books. E-books are so much easier to take along, though, whether on my phone or my kindle, it's nice to know that I am never without something to read. Oh man...what a tough question. How about Harry Potter and the Deathly Hallows by J.K. Rowling, (actually any of the HP books would do), And Then There Were None by Agatha Christie, and this may be a rather unconventional choice, but if I'm stranded on a deserted island I'm going to need at least one romance with me, so how about Lessons From a Scarlet Lady by Emma Wildes. 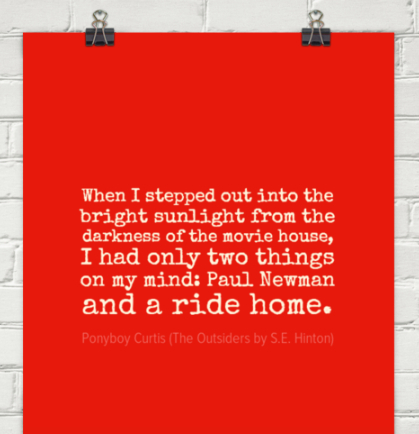 As I mentioned before, I have loved reading for as long as I can remember, but if I had to point to one book that changed that love of reading into a need to read, it would have to be The Outsiders, by S.E. Hinton. I was in 7th or 8th grade and was allowed to choose a book from the high school section of my school's library, because I read at a higher-than-my-age level. I absolutely fell in love with the book, and used to check it out from my school's library all the time. Minerva McGonagall from the Harry Potter books. I am so awed by the entire wizarding world set up by J.K. Rowling, and McGonagall is by far and away one of my favorite characters from the series. I think it would be so fascinating to be able to meet and talk to her. I mean, can you imagine the stories she must have? Ok, this is not the best picture, but my book shelf is located in a awkward spot. I pretty much had to be a contortionist to get a decent shot without too much of the door getting in the way. And there's a whole shelf on the bottom that I couldn't even get in the picture. 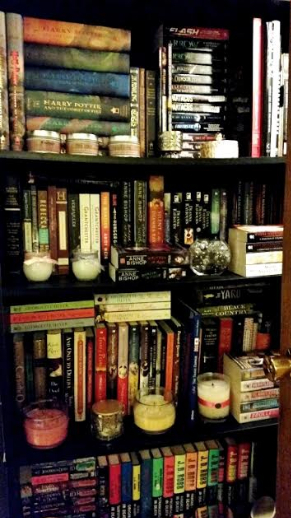 I also have a book cabinet which houses the bulk of my books. I didn't take a picture of it, because my organizational plan in there is pretty much “stack them in there in such a way as to fit in as many as humanly possible”. 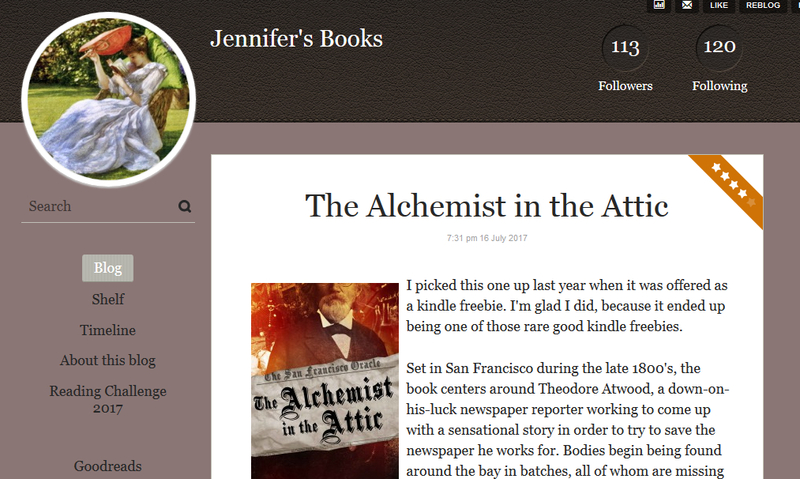 I want to thank Kate @ BookLikes for asking me if I'd like to do this! It was fun!